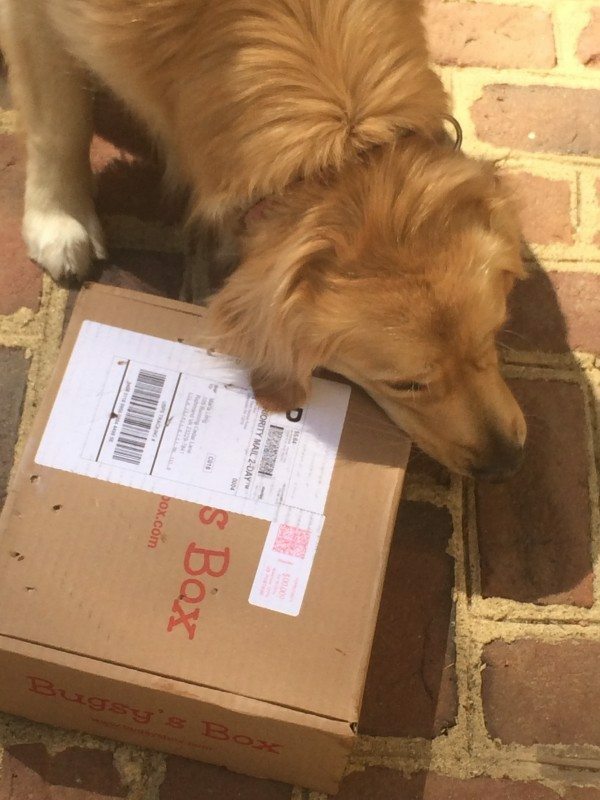 This post about Dog subscription Box was sponsored by Bugsy’s Box. 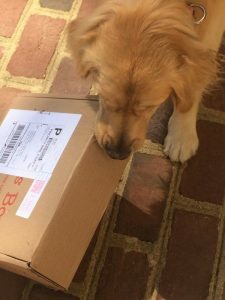 I was provided a box to review as well as a dog subscription box to provide as a giveaway.About a year ago, I reviewed Bugsy’s Box, a dog subscription box. Well they just sent me another one to review. You probably know my pup, Chloe, is one spoiled dog. However, I am never sure what toys she would like. I have a bunch in her toy basket that have not been touched since she was a puppy. What I like about Bugsy’s Box is they do the shopping for you. 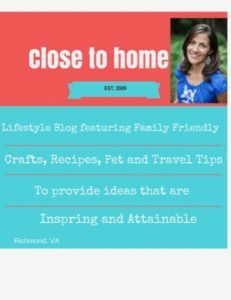 This Dog Subscription box allows me to be introduced to toys that might not be in our big box stores. Of course the treats are always a hit, if Chloe refuses something I must call the company and tell them! As you can see Chloe is just as excited as the kids to get a package for her. She would not let this box go! 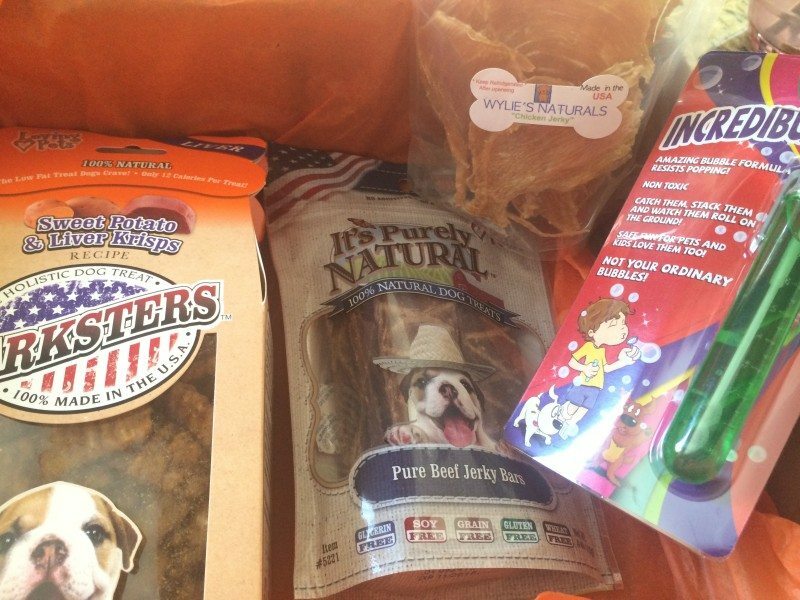 What I said in my previous review about Bugsy’s Box, what I really like is that all of the treats and edibles are made in the USA. Each box comes with 5 to 7 items to nourish and entertain your dog. Best part if you buy a large enough subscription the monthly price goes down to $19 a month. You can really only buy a few toys and treats for that price at your pet store. The majority of the items in this month’s box were edibles. I do like the Tall Tails Dog Pocket Towel. Chloe will be spending a lot of time in the water this summer and this will be nice to keep in the car. We received the Incredibubbles last time as well. Theses peach flavored bubbles are fun for both kids and canines. Be sure and take a picture of your dog when he/she gets their Bugsy’s Box, as you can win a few 3 month plan for posting it on Instagram and Facebook. One lucky Dog owner will have the chance to win one free Month of Bugsy’s Box Dog Subscription Box for their pup. Enter the rafflecopter below. So cute. I just love pet boxes. I get a dog one for my girls and a cat one for my boy.